With Christmas fast approaching, traffic levels are set to peak this coming Friday (December 21st), research by the RAC and Inrix has indicated. A study of driver travel plans and congestion forecasts have indicated Friday will be the worst of all, with 2.8 million journeys being undertaken, preceded by with 2.5 million journeys the day before. Rail strikes are expected to contribute to the road congestion as well. This is, of course, a particularly busy time of year in general with the usual rush hour traffic being made worse by Christmas shoppers. With next Monday being Christmas Eve, Friday may also be the final working day before Christmas for many people, meaning some will be heading off to other parts of the country to spend the festive season with relatives. With millions taking annual leave over the holiday season, the busiest day for leisure traffic will be on Boxing Day, when around 6.8 million people take to their cars to see family and friends, while 4.4 million journeys will be undertaken on December 27th. Motorists taking to major roads could face some significant delays due to road workings taking place before the festive period, with the M25, M6 and M40 all set to be subject to serious delays this week. Among the worst will be delays of up to three hours on the northbound M6 on Thursday, while queues of around an hour and a half can be expected on the southbound M40. However, after this weekend, Highways England will lift over 200 miles of works for the festive period, making travel easier for drivers and giving road workers some time to enjoy Christmas and New Year themselves. This means that once it is safe to do so, 97 per cent of road workings will be halted from December 21st until January 2nd. 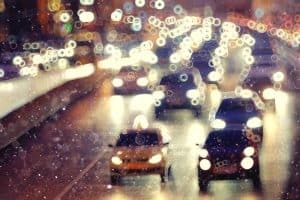 Inrix data scientist Joshua Kidd commented: “Our data shows that compared to a normal day, Thursday 20th December will see the biggest increase in cars on the road.